award winning Newborn Photography, Dothan Alabama – Our Newest BABY ART! I was hangin’ out (no pun intended) in the studio and came up with a couple new ideas for my BABY ART Collection! I just had to share a couple of my favorites here!!! 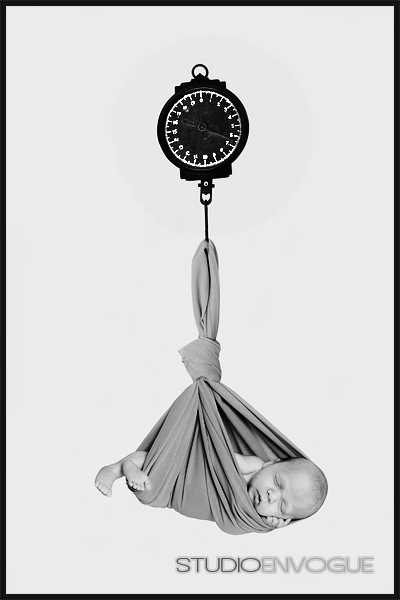 By the way, we can only take so many babies every month so don’t get stuck on the dreaded WAITING LIST!!! You’ll want to call BEFORE baby is born to book your session so you don’t miss that precious sleeping angel session… We recommend scheduling your newborn’s session for about two weeks after your due date. If baby comes early, there’s no need to worry because we offer a guaranteed reschedule if baby is already on our calendar! 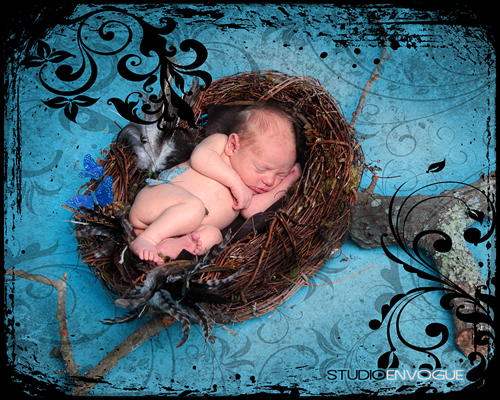 Call us at 334-673-1879 to reserve your newborn session!!! 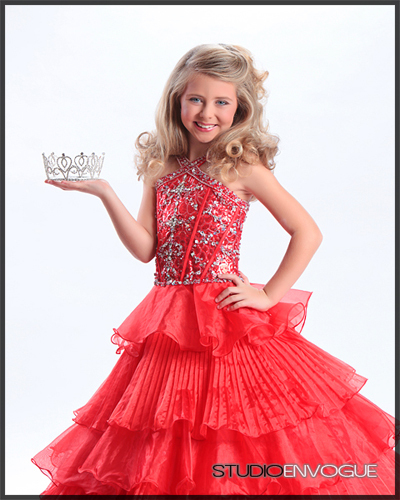 Pageant Photography Dothan Alabama – CROWN & GOWN SPECIAL!!! 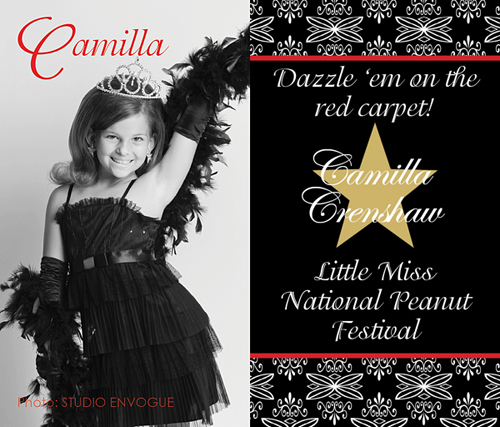 Little Miss National Peanut Festival’s super cute calling cards! I’m so pleased to present the newest addition to our BABY ART collection! 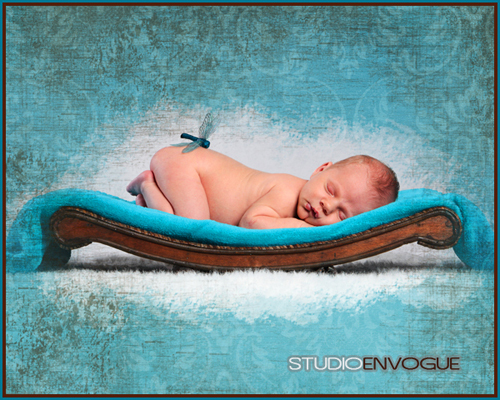 Studio EnVogue is the original BELLY ART & BABY ART studio 🙂 ENJOY!!! 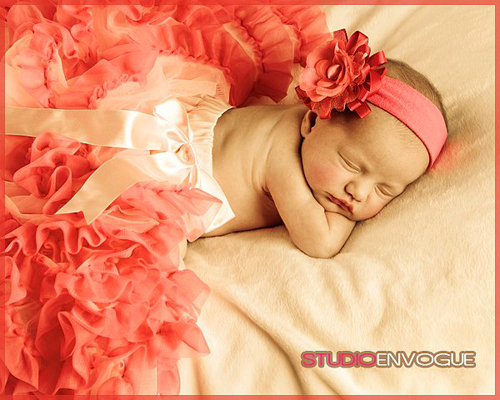 Delightfully Chic Vintage Baby Portraits! For a limited time only we’re creating some very special pieces of vintage style art. I have always adored those delightfully chic hand tinted looks from days gone by and thought it would be a pretty special way to celebrate your new baby! 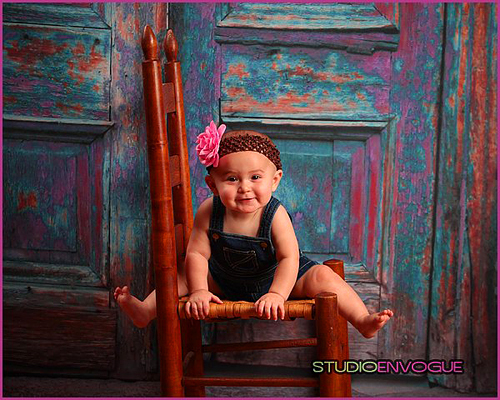 Here’s Miss Madalynn showing off her beautiful smile on one of our newest backdrops! It spands 10′ high for full length poses or serves as a neat little slice of history in close ups. We have lots of interesting designs and theme walls at Studio EnVogue and I love each and every one of them!